I always remember myself with this great passion for the sea and all that has to do with it. Since I was a kid, I always thought of myself being extremely lucky, just because I was born on an island, surrounded by the mediterranean sea. Even back in the days where not everyone had internet access & social media was almost non existent, I grew up caring about the environment and how important is for us to take care of our surroundings, land & of course, sea! I use my time off to go to beach, not only in summer but throughout the whole year this is. Before I sit down and enjoy the beautiful blue spots we have here in Malta, I collect all the dirt and plastic I find lying around before the said rubbish finds its way in the sea. My love and passion for the marine life became stronger by the day. In fact, at the age of 46, I started Marine Biology evening courses at the University of Malta, which I successfully completed. Since then, I never looked back and began taking this hobby of mine to another level. I started searching for more information about Marine life, especially about Dolphins (my all time favourite mammal) and sea turtles. I wanted to discover how could I help to save their environment. They say that where there’s a will there’s a way; I think my Marine journey is a great example for this proverb. In 2014, I had the privilege of joining a group of Spanish scientist and Marine Biologist to do an expedition and research at sea for dolphins, sea turtles, seabirds, and also collecting data about all that we encounter. As I continued searching for more Marine life experience throughout our seas, I came across the Eco Marine Malta. 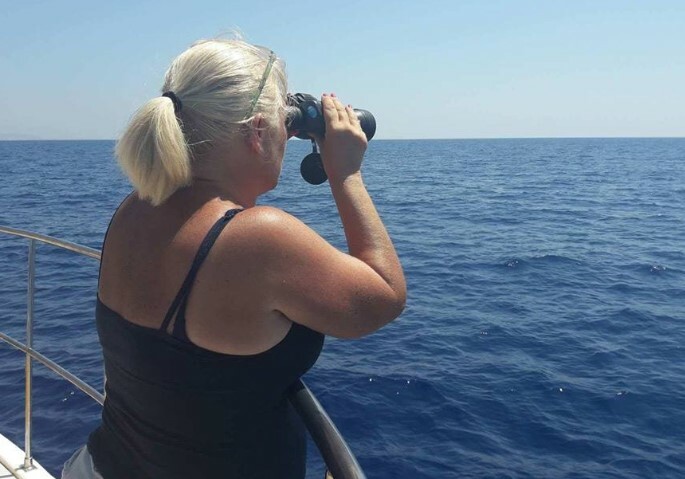 I knew that this was my next adventure so, I made contact with Patrizia Patti an Italian marine biologist .We spoke for hours about this passion that we share for the marine life, and how we can collaborate together to make things better. Our main aim is to share with everyone the importance to save our seas and especially the marine life. Last year, we started the research with a boat trip for dolphins ,sea turtles and seabirds also gettering all the debris that is left behind. 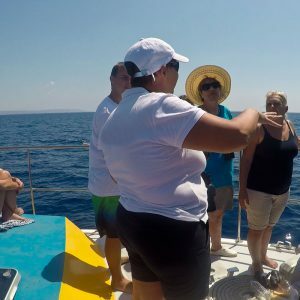 This year; we are working to continue where we started with educational boat trips and also with the research and education at school.The project needs a lot of time and dedication. I do it as a volunteer, but, like many other things, such research and work require a lot of money. 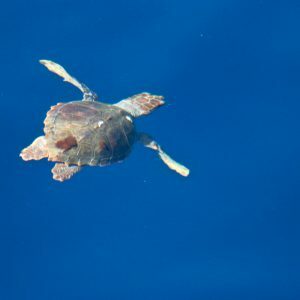 Now you too are able to experience all of the above with us, by joining one of our educational Marine life spotting trips. This way, you will be contributing with the expenses we face with this project. Please share this with your friends and family; lets make our sea a better place!